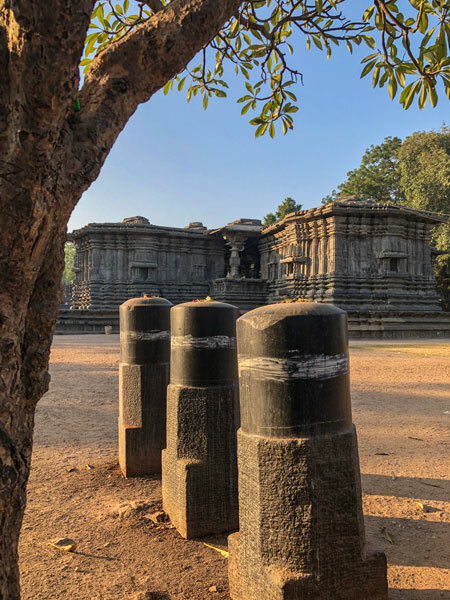 Located in the heart of Warangal, the erstwhile capital of the region during the Kakatiya dynasty, the Thousand Pillar Temple is considered to be one of best created during the golden period of the Telugu country. 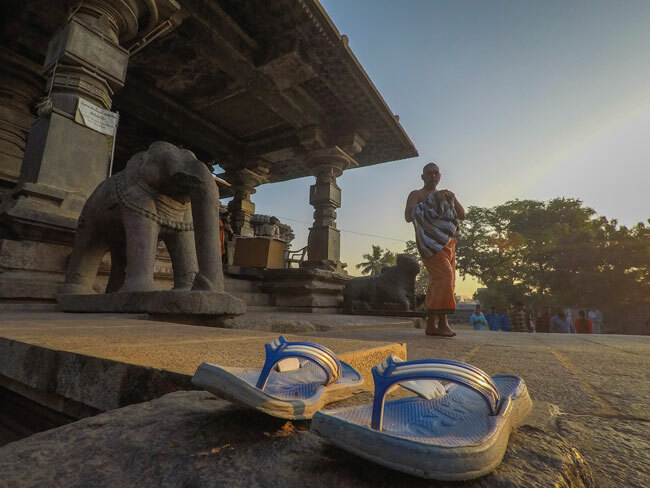 Built by king Surya Deva in 1163, the temple has three presiding deities - Shiva, Vishnu and Surya. Right outside, there is a majestic Nandi too which adds both to the beauty as well as grandeur of the temple complex. The original name of the temple is Rudreswara Temple after the king under whose reign it was commissioned and constructed. Does it really a have thousand pillars? 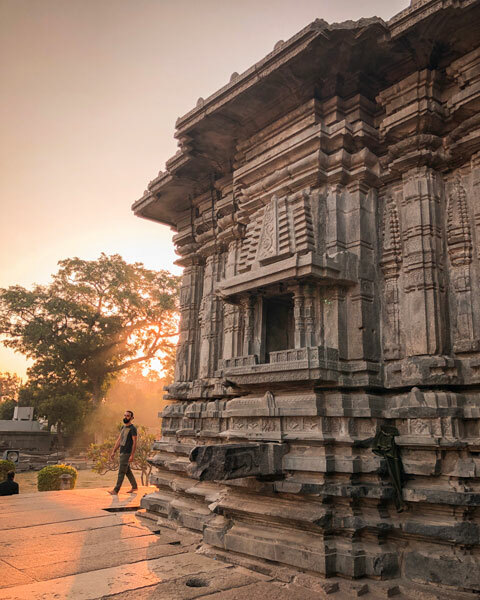 Though it’s called the thousand pillar temple, the temple actually doesn’t have 1000 pillars and the number actually is a little over 300. 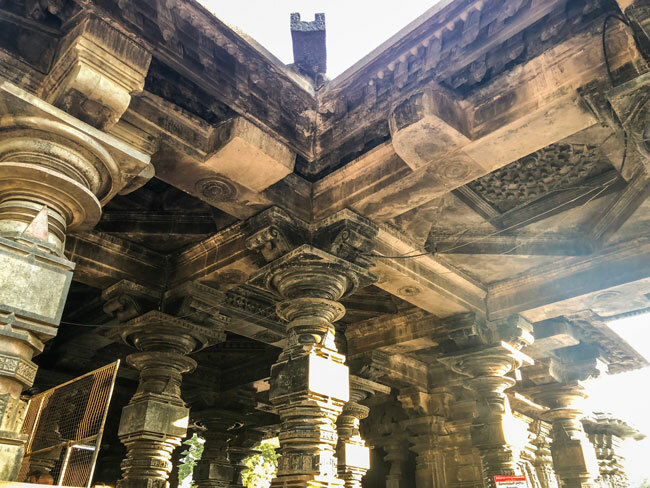 The name comes from the travellers who were amazed to see so many pillars and started calling it the Thousand Pillar Temple and somehow the name stuck. 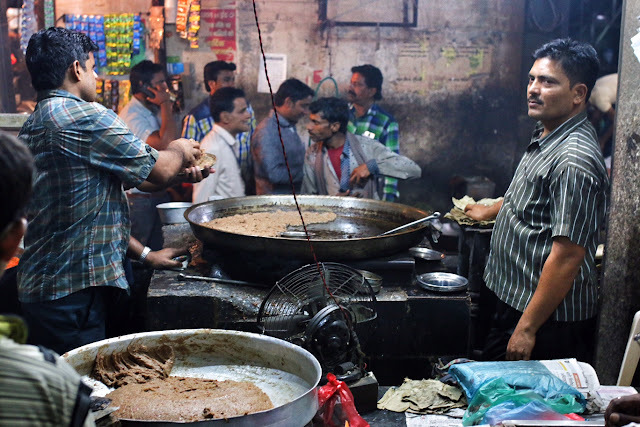 My hotel (Hotel Ashok) was less than a kilometre away from the temple so I decided to walk there at the break of dawn. The place was literally empty at that time when I reached, but within the next hour many more travellers and pilgrims came over. Another part of the temple is undergoing restoration and it will soon be open to public. I would actually love to com back and see it once it’s ready - it will be quite a sight to behold when both structures are complete, or as complete as they can be now. The temple is built in the typical Chalukya style, and that’s because artists from there were called in to build it. 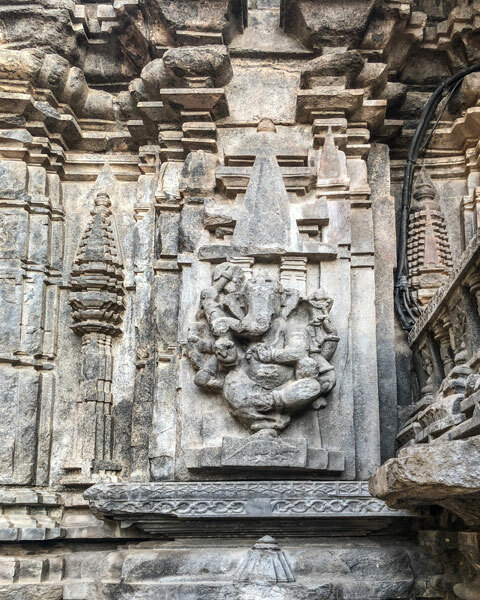 The Chalukya sculptors were known far and wide for their skills and this is another example of their exemplary work. The inside of the temple is all build in black granite and the carvings are mesmerising. Unfortunately, most of the human figures are defaced, but with some imagination it’s certainly possible to imagine how magnificent this place would’ve been in the past. The pillars stand out for their richly carved designed and perfectly circular designs. As it turns out, there were turned on a lathe to get these perfect shapes. The Shikhar is no longer there, and I didn’t find any information about it. But it must certainly be a part of the original temple back in the days. 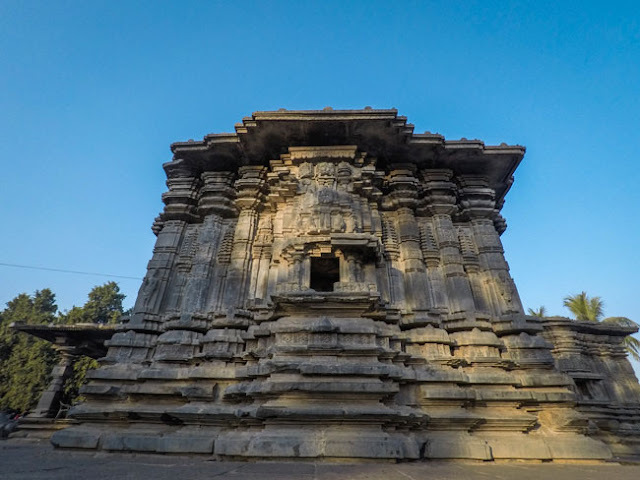 The temple lived as long as the Kakatiya dynasty ruled the region. Built in the 12the century, the temple was desecrated by the Delhi Sultanat in the 14th century after the last king was defeated and the region brought under direct control of Delhi. 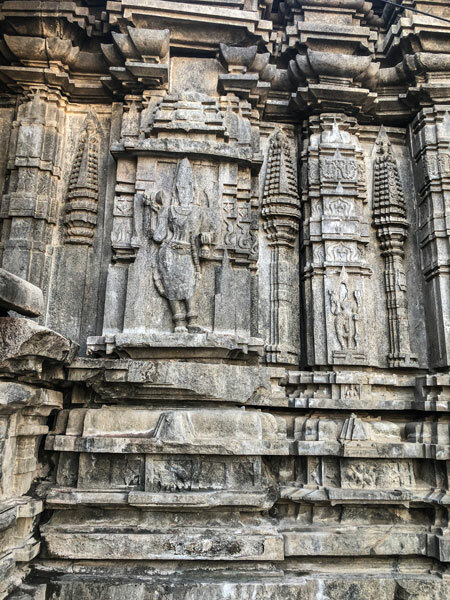 Not just this temple, but all the others in the region also met the same fate when the winning army returned back to the base after plundering and destroying the Warangal fort. To reach: Warangal is easily reachable by road from Hyderabad - the journey takes about 4 hours. Regular buses and trains also connect the two cities. To stay: stay at the Hotel Ashoka - it’s one of the better ones with all modern amenities. I had a really stay there and recommend it based on my personal experiences. Read your beautiful post on Rudreswara Temple. Amazing pics. Glad to know in detail about this temple. Those are some amazing frames. Amazing and beautiful place !! Yet another impressive ancient temple you introduced us to, Sid! 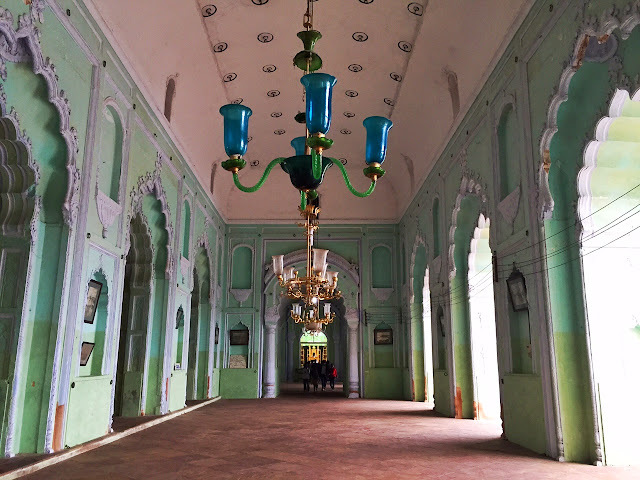 I think I'll need at least five more trips to India to cover the most important sites, and a lot more to visit lesser known places like this one. Beautiful Architecture. Nice Photographs. Love To explore them. today I am very happy because they can find a great site and this interesting.This information is very useful. thank you for sharing. and I will also share information about mysterious places through the website..
You should try Char dham and experience the adventure. Thank-you very much for sharing such Beautiful Architecture. Nice Photographs. Love To explore them. Best place to feel heavenly bliss! 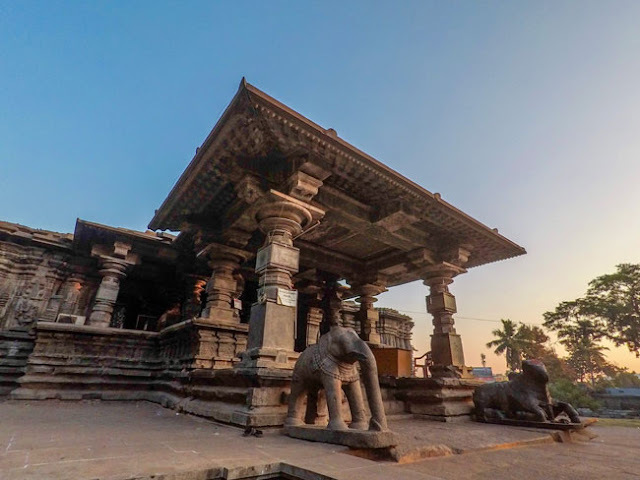 Thousand Pillar Temple with unique architecture and ancient. 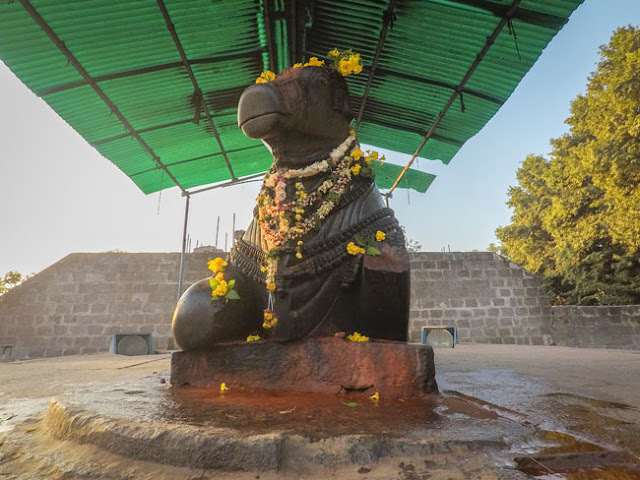 The warangal region was under the Western Chalukyas,whose fuedatories the Kakatiyas were.So this area was very much part of the Chalukyan empire.